How many time have you gambled, lost and walk away feeling guilty, thinking about what you could have done with the cash just blown on Bingo, Slots or Casino games? Oh sure we try to make up for it, or so we think we do by cancelling that dinner date or buying lots of ramen noodles in place of those juicy stakes at the grocery store convincing ourselves we were going vegetarian anyway! It happens to the best of us at one time or another even for the 'casual' gambler. Hey, even the casual drinker gets completely sloshed once or twice in their life. I like to call I growing pains, it comes with the territory and besides no one is perfect! It does however help to ease our conscious to know that part of the wagering went to a good cause at charitable sites and not all your hard earned moolah went down the drain. There aren't that many online Casinos donating to charities but are a fair share of online and land based Bingo sites that do. In the US local Bingo halls are primarily held in churches with profits greatly benefiting the church and private school they operate. VFW halls also jumped in on the band wagon with proceeds to benefit war veterans. 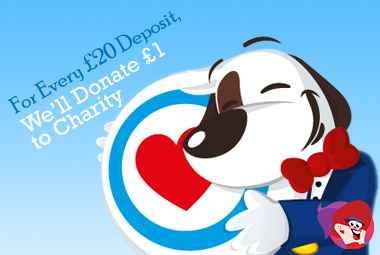 The UK is no stranger either to charities and with online Bingo it has flourished. Donating a Percentage of the Profits - The problem here is if lady luck is on your side and you happen to cash-in then the percentage that goes to the charity is zilch. Donation Only When Jackpot is Won - Isn't quite so generous when setting this type of limits to hand over cash to a charity. 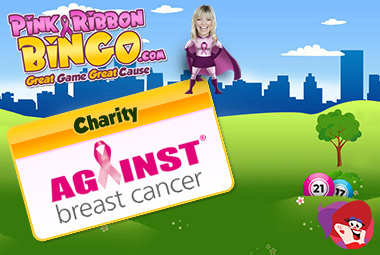 Charity Owned Sites - The most ideal online Bingo site with the total net profit going towards the cause. Non-Charity Sites - These sites run charity exclusives to raise money for a particular cause. The advertising world is notorious with getting around falsehoods by promoting a small element of truth. A perfect example is the food industry one very popular company claims that their product is '100% beef'. While that is technically true it is also quite misleading because in reality the truth is - the beef that's in it is 100% but what they don't tell you is the other 90% is fillers and garbage. Pink Bingo - Supporting 'Against Breast Cancer' with no information on how much is being donated or how often donations are sent. There is a direct link to the charity but the only thing listed there about Pink Ribbon is they were the first site in the UK to raise funds to help fight breast cancer. When, where, was it when they initially supported 'Breakthrough Breast Cancer' before the switch to the current charity? Charity Bingo - On their Charity Bingo Heroes tab they claim: 'Every deposit of £20 or more will earn a donation of £1 to the Charity Bingo Heroes Pot'. The current monthly pot value has not change for quite some time holding steady at £320. The monthly raised donations listed stop in July/August 2015. Does that mean the current £320 pot is a year old? 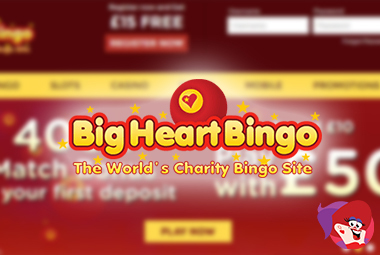 Big Heart Bingo - The initial launch was under the Cozy Games group and during that time players had an option to choose their charity with a percentage from their account going to the cause. Well when Live Bingo Network acquired the site in 2015 and after a revamped web design there was no mention of any donations or charity participation whatsoever but and folks that's a big BUT, there slogan is 'The World's Charity Bingo Site'. Rehab Bingo - established and run by Rehab Lotteries raising money for disabled individuals globally donating funds on a monthly basis. The Irish based company changed hands in 2014 moving from Virtual Fusion to Microgaming. 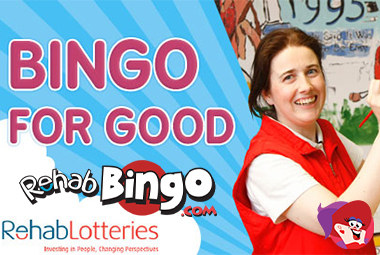 On their 'Bingo For Good' page boast raising thousands of Euros each month but don't mention what percentage are being donated are the new management. In all fairness - ok why be fair when we feel slightly jolted right? Let's phrase it differently - why would these sites that have started out with good intentions suddenly change direction on their generous contributions to charity? Was it their intent all along to appear as this wonderful site that gives back drawing players in? Or is it because the expense was far too much to run the site between UK taxes, software fees and lack of sponsorship, were they in over their heads? Whatever the reason one thing is for sure, when you lose, you really are a loser at certain charitable sites! Not to be discouraged sites like Mecca Bingo, Gala Bingo and Foxy Bingo run exclusive campaigns for charitable organizations raising big money. In the meantime, if your heart is in the right place and you want to do a good deed there is plenty of ways to donate outside of online Bingo sites.